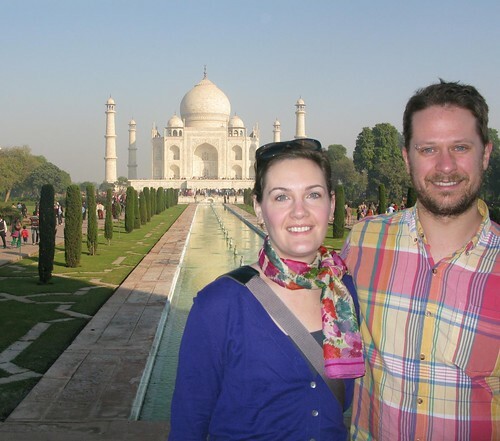 Neil and I just got back from a trip to India, which was incredible, but more on that later. Taking the trip meant leaving Isaac behind. Just shy of a fortnight away from the kiddo. You guys, it was SO GOOD. Much as we love the little bugger, it was really excellent for Neil and I to go away for a while and remind ourselves that we’re awfully fond of each other as well. We had initially planned to take Isaac along, but the more we thought about the destination, the pace of the activities we had planned, and Isaac’s personality (nearly 2-year-olds are not known for their logic and patience), it seemed like an increasingly bad idea to bring him. So rather than a round-trip ticket for Isaac, we bought one for my mum instead, and my parents got to have some quality grandkid time, while Neil and I got to explore the way we used to. We’ve had a lot of fun traveling with Isaac so far. Bringing kids along really changes the way you travel in a few ways. Your pace is slower. Your range is shorter. Your luggage is much more cumbersome. But your encounters with others are so often deeper. You connect with locals and fellow travellers far more easily with a kid in tow. Toddlers are crap at monuments, museums, long car rides and staying up late. But we have only ever been mistaken for locals when travelling with Isaac. Smiles to others aren’t returned nearly as often when you don’t have a kid along who’s also grinning away. We spend more time in parks, at playgrounds, and shopping in local stores instead of tourist traps, since that’s where you find baby supplies. I’d love to take Isaac to India some day. But in the meantime, during the long and sometimes intense days that come along with caring for (chasing after, negotiating with) a toddler, it’s also really nice to take a break and travel with a light bag and an even lighter sense of responsibility. And the rejuvenation that comes from sleeping and waking on one’s own terms is not to be underestimated! Although, in case you were wondering, absence does make the heart grow fonder.